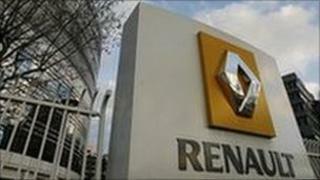 Heirs of the founder of the French car company Renault have demanded in court compensation for the nationalisation of the firm after World War II. A lawyer for the grandchildren of Louis Renault said the move had violated his clients' "legal and property rights". The car maker was nationalised in 1945 after the death of Louis Renault, who had been jailed without trial for alleged collaboration with the Nazis. The French state remains Renault's largest shareholder, with a 15% stake. Thierry Levy, lawyer for Louis Renault's seven grandchildren, told the court on Wednesday that his clients deserved compensation. He described the post-war nationalisation as a "violation of fundamental legal and property rights". The case is being reviewed by a court in Paris, which can either reject the demands or refer it to France's highest court. Renault's grandchildren previously tried to obtain redress in 1959. Louis Renault founded the company with his brothers in 1898. During the Nazi occupation the firm was placed under German control and used to make equipment for German forces. Renault's grandchildren argue that he was never brought to trial over the allegations, and say there has been no other case of a firm being nationalised without a ruling or compensation.